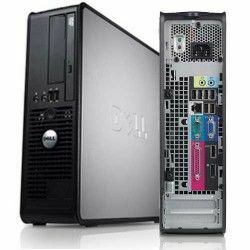 We have a Small Form Factor Dell Optiplex 360 Desktop, in excellent condition. This machine has been professionally tuned & tested. It will deliver great performance to those that need solid computing power. Call 707-238-5101 For more details! Delivery, Setup & Training are available! Please call show contact info or reply email if interested!